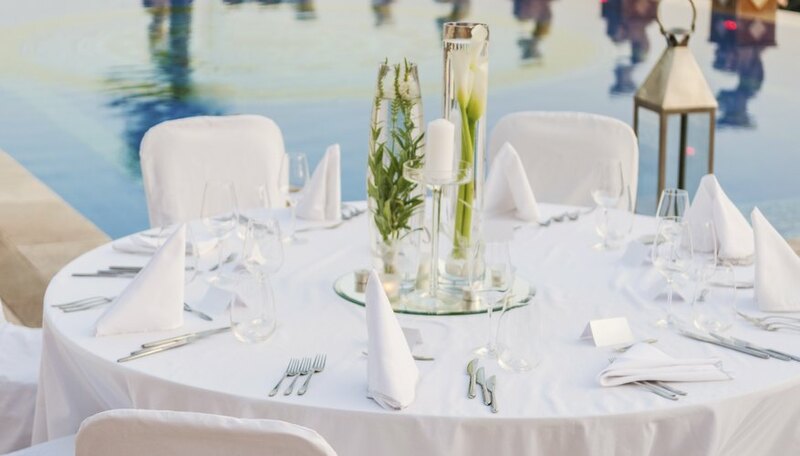 A pool without floating decorations is a missed opportunity for adding elegance and style to your outdoor wedding. Pool decorations can be fun and funky or chic and elegant by incorporating floating lanterns, glowing orbs, floral pieces and candles. Even the simplicity of floating balloons can add panache when matching your color scheme. 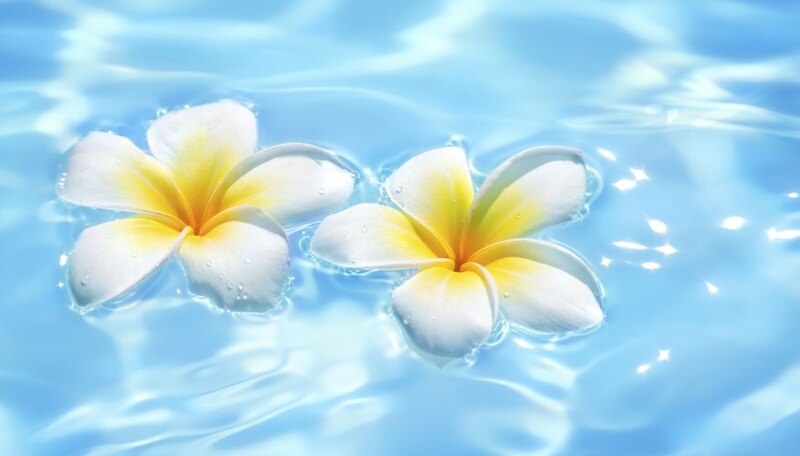 Ensure that the pool filter is turned off so balloons or flowers are not drawn into the filtration system, and make sure that the venue provider allows pool decorations. Balloons are a relatively inexpensive way to decorate the pool for your wedding. Choose colors that complement your color scheme such as purple and white. Weigh down the balloons with fishing wire or ribbons tied to fishing weights, or cluster the balloons together and tie them to an empty jug filled with sand. 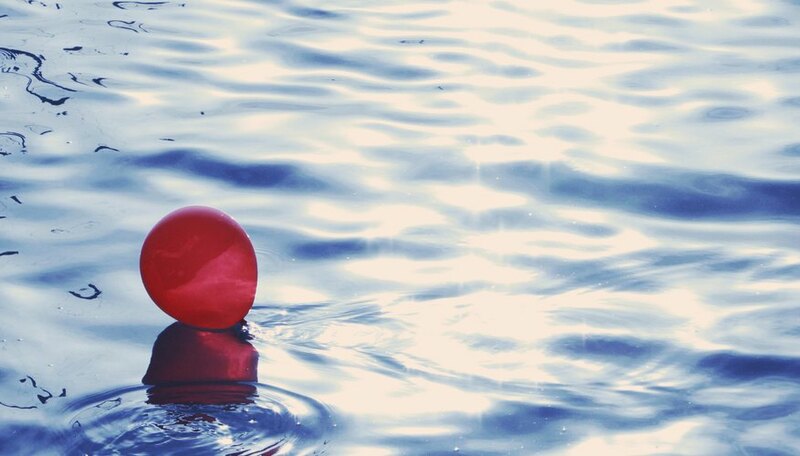 Use helium to float balloons above the water and anchor them with fishing line tied to weights. Individual bricks may suffice as weights. Turn your balloons into night lanterns by inserting glow stick prior to inflating. For best results, fill balloons on your wedding day. If left overnight, balloons may shrink, expand and burst. For safety reasons, do not cover the entire surface of the pool with balloons. Group flowers together in hula hoops for an aesthetic that's unexpected; Styrofoam also floats on water and creates a base for floating flower arrangements. Create wedding pomanders by inserting fresh or silk flowers, one by one, and tightly together into large Styrofoam balls. Alternatively, insert flowers onto square, rectangular or round Styrofoam sheets, which create an ideal base for holding lanterns and candles. Flat sheets of Styrofoam can also be cut into heart shapes, or the bride and grooms initials prior to inserting flowers. Shimmering candlelight on water sets the mood and inspires romance. Add white pillar candles or lanterns into the center of floating flower arrangements or on wooden planks. 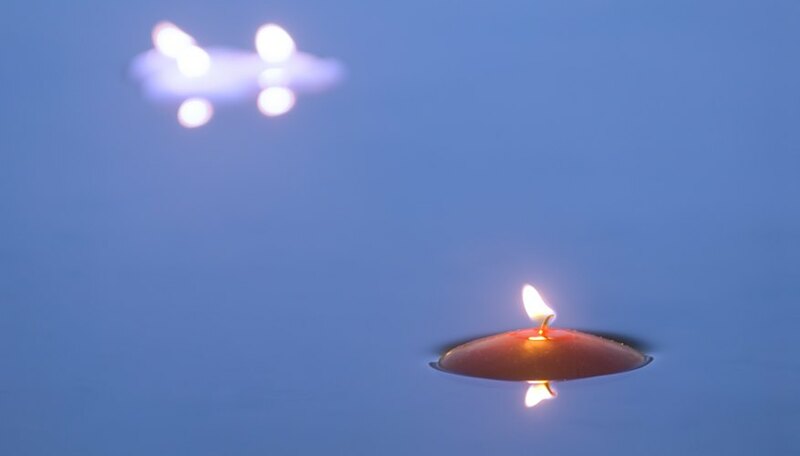 Or, simply add a tealight into the center of a floating lily. When time is of the essence, add simple yet elegant waterproof, solar or battery-operated globes into the pool. Create a centerpiece for your pool with a pool fountain. Some fountains illuminate the water above and below for dramatic effect. Favorite holidays, seasons or even your honeymoon destination can inspire a wedding theme that incorporates decorations and lighting for the pool. 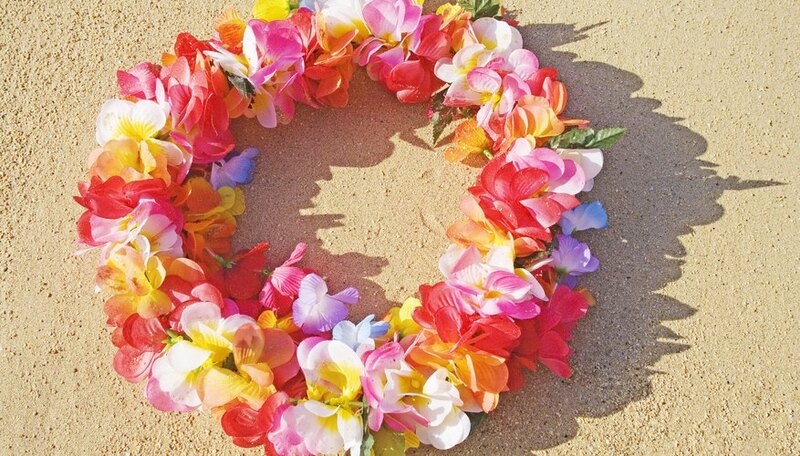 Float orchid leis around the pool for your Hawaiian honeymoon-inspired wedding, or add a little fun with floating inflatable palm trees for your tropical theme. Cluster together Christmas-colored votive candles in the centers of poinsettia arrangements and float on planks of wood or Styrofoam-lined trays for Christmas-time weddings. Toy Splash: Create a Magical Atmosphere In Your Pool With Lights From ToySplash!